Fans will be able to get their first glance of the uprated Cota 300RR motorcycle this weekend at Italy’s Trial GP, where Toni Bou may become world champion for a 20th time. Last season, Honda Montesa expanded its line up with a new trial model, the Montesa Cota 300RR, an exclusive race-oriented model designed to satisfy the brand’s most demanding fans. This season, the brand will introduce some changes that make the model even more competitive. The main changes to the model can be found in the thermodynamic group. 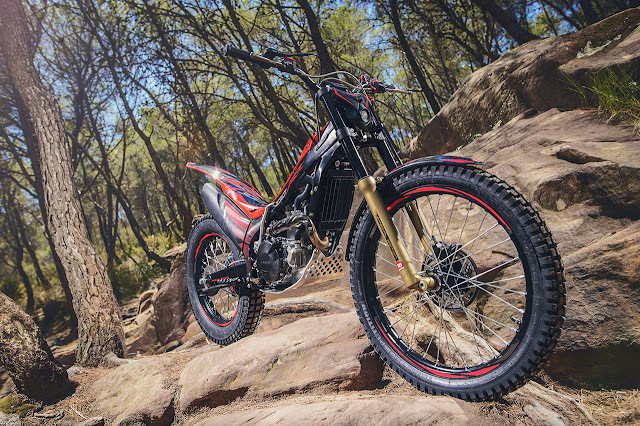 The engine will continue along the lines of those used by the motorcycles participating in world championships with Montesa’s support. 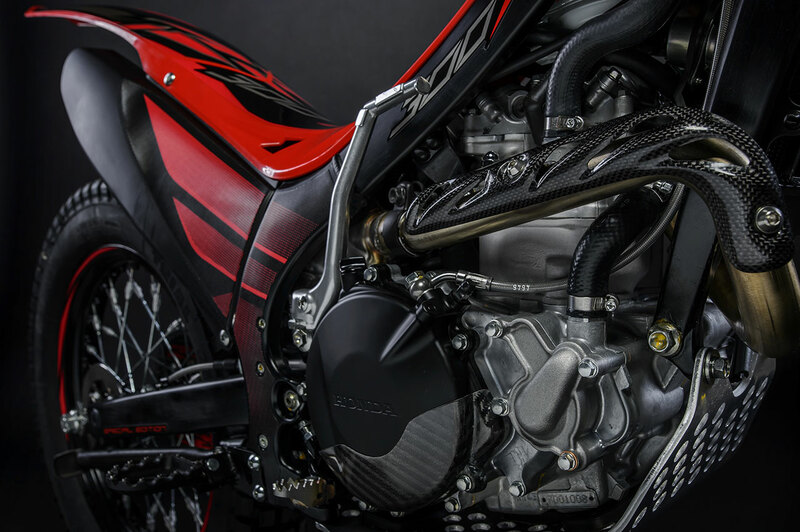 This year, the Cota 300RR features new ECU mapping that improves engine response in the low to mid ranges, especially important for trial motorcycles. Another aspect that contributes to engine response is the three-ring piston, instead of two, which helps prevent leakage and improves durability. 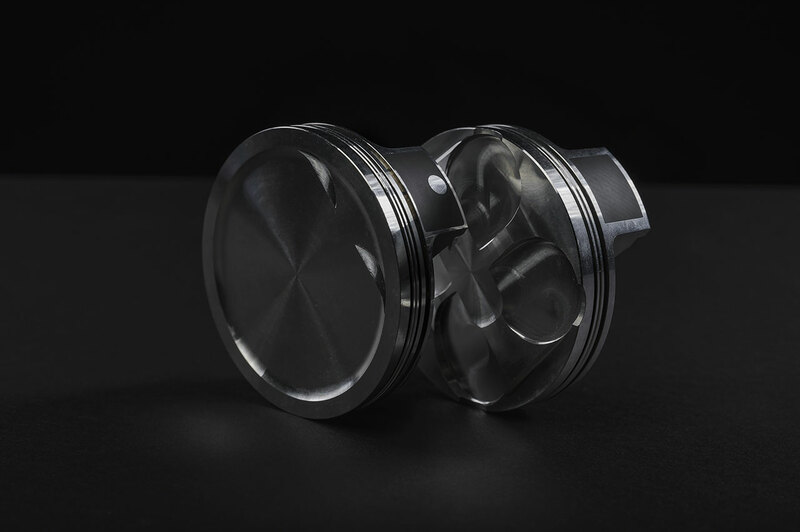 The head of the piston has also been redesigned to be flatter, making combustion more efficient at low rpm. Furthermore, because the piston is now lighter, vibrations are reduced. The cylinder has also been redesigned to fit the new piston, resulting in further improvement to engine efficiency. As for the chassis, the most noticeable improvement can be seen in the settings of the TECH fork, now more shock absorbent, making the motorcycle more comfortable and closer to what a competition model would feel like. Another improvement is the muffler, now more resistant and with reinforced mounts. 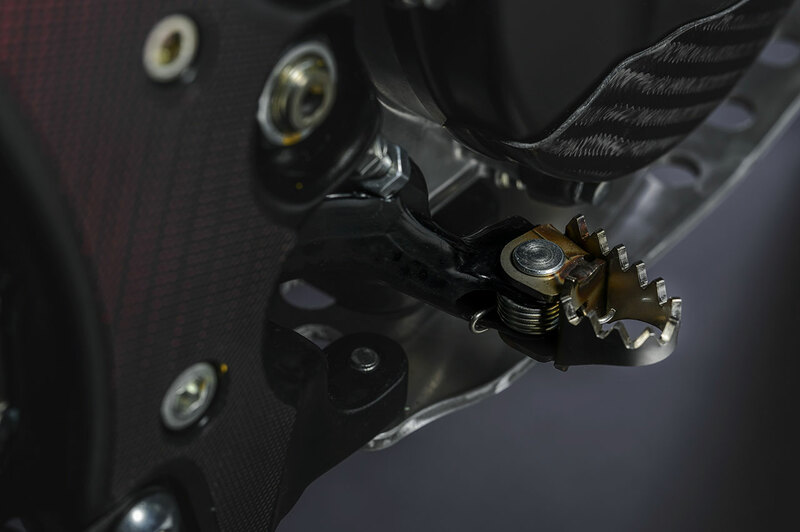 Finally, for the brakes, the pedal has been made shorter, to avoid strong impacts and, therefore, make it more reliable and allow more freedom of movement with the motorcycle. The Cota 300RR was made for competition, that’s the reason why it’s called RR (Race Ready). 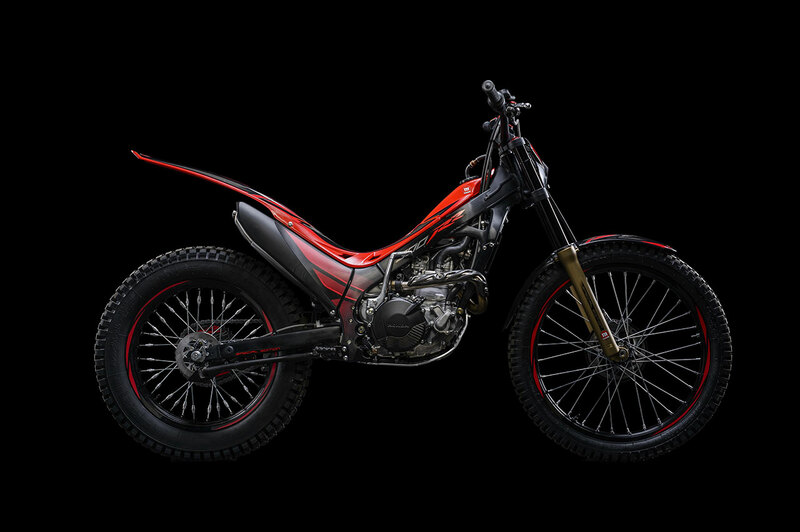 The model was developed on the proven experience inherited from racing models, such as those used by Montesa’s riders in Trial Championships. In fact, most of its components and technical solutions come from Eddie Karlsson and Oriol Noguera’s motorcycles. Without a doubt, the Cota 300RR is the mass produced model most similar to the prototypes used by Toni Bou, Takahisa Fujinami and Jaime Busto. In other words, it's an authentic racing model made available for trials fans.